Sometimes, when you go to the gym, all you need is a good pair of shoes, a water bottle, and some motivation. However, keeping some other essentials in your bag may make it easier to plan for whatever you might need before and after your workout. 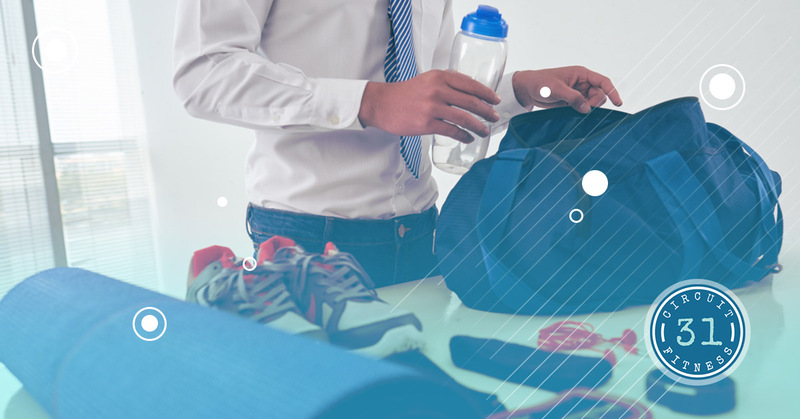 Here we have some of the top items you should keep in your gym bag in order to feel as prepared as possible for your workout. Let’s start with a gym bag that will meet your needs! For some people, a simple tote will suffice, but if you’re hoping to have enough space for everything you need, you may want to invest in something else. Find a bag that fits your style and that you look forward to carrying around. It may just be the motivation you need to hit the gym after work—even if you really don’t want to initially. There is nothing worse than arriving at the gym, changing into your workout gear, and realizing you forgot socks. You can either skip the workout even though you’ve already come this far, or you can go sans socks. Neither is an ideal option. Find some high-quality socks that give you massive amounts of comfort! Just keep them as an emergency pair. You never know when you might tear through your original pair of socks or when you might forget your first pair at home. This is one of the must-haves you never want to be caught at the gym without! Trust us, everyone else at your fitness center is going to thank you for wearing it. Whatever scent you prefer, just be sure to stick with deodorant only. We don’t want to smell your cologne or perfume, and those will not mask your body odor whatsoever. Choose one specifically made for active people in order to feel more confident and protected. Hydration is important, and it can be a hassle to keep running to the drinking fountain during your workout. Instead, keep a washable and reusable water bottle in your gym bag. Plus, the hydration helps you in all areas of life—not just your workout! You can use a simple water bottle from the local store, or you can go all out and find an insulated, durable one for rougher workouts. Some even come with a fruit infuser so you can have naturally flavored water while you work out. The choice is up to you! Regardless of your athletic activity, whether it be circuit training or not, you are bound to work up a sweat. When you need to rely on your grip and not focus on the sweat dripping down your face, keeping a towel on you can come in handy. Find a towel that is absorbent and quick-drying so you can feel secure and cool through your entire workout. If you have long hair, you know how irritating it is when your hair gets in your face and sticks from the sweat. A headband will keep your hair out of the way, and it can also help you keep the sweat from dripping into your eyes! Feel free to pack a few just in case you forget to wash one at the end of your workout. They don’t take up a lot of room at all. Hair ties are necessary to pack in bulk, as you never know when one might accidentally snap. Fuel your body with the energy it needs to keep you going through your workout. The right protein bar will also be a great boost after your workout to keep your muscles nourished. Toss a few in your bag to grab as a snack either before or after your workout. They come in all kinds of flavors, so find a tasty one that will feel like a rewarding treat! If you are looking at fitness centers near you and wondering why you haven’t found the right one yet, it’s time to come to Circuit 31. All you need is 31 minutes to complete our workout and then you are on your way. So be sure to pack your gym bag with all the essentials and come on by! We can’t wait to show Allen why we are the number one choice when it comes to top workout spots. Contact us today to learn more and sign up!